The issue is strictly white balance, which is rendered incorrectly. Even with the white balance set to 2000, there is still a noticeable red cast. Anything that contains chlorophyll like grass or trees, should appear white in an infrared image. This is the basis for your conversion, whether for colour or black and white, but without this neutral starting point, colour imagery in particular is doomed. 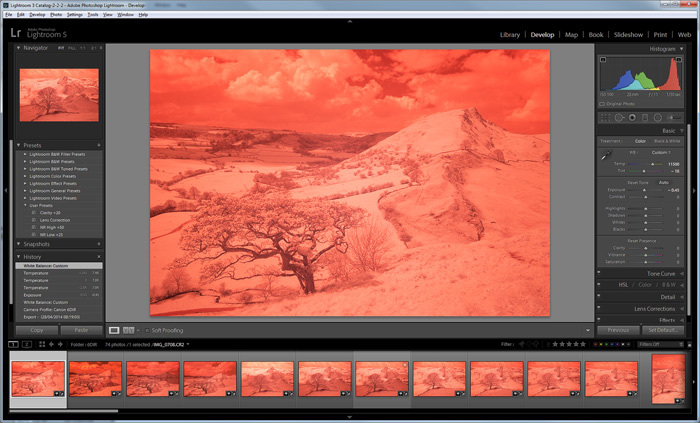 No matter how much you wrestle with the white balance and tint sliders, Lightroom still renders your infrared image with a red cast. So why not just use another convertor? To be honest, when dealing with a lot of imagery it's a pain using multple RAW converters. 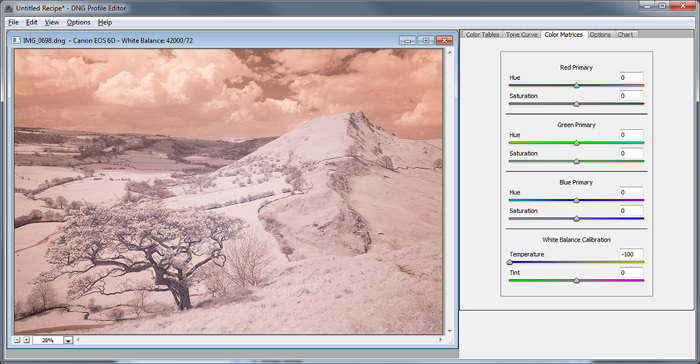 Cature One has its own catalog system, similar to LR, but its bloated and often over complex. I use Lightroom for literally all my processing and I thoroughly enjoy the creative freedom and powerful cataloguing the software gives me. Finally I have the answer, which I thought I would share with you. 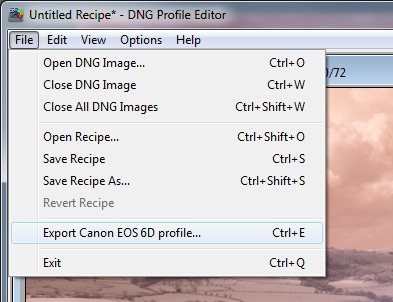 Let's get cracking - Here's how to get around the problem by making a custom profile for Lightroom, using a lesser known application called the DNG Profile Editor. Here's the image as it looks in Lightroom, using the ketchup filter. Inspiring isnt it. 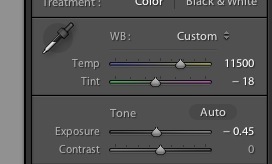 Now Open the Color Matrice tab and drag the white balance back to -100. This is where the problem is happening. 3) Now open up the options box and give your new profile a name. In this instance I have given it the name 'Canon 6DIR' to match my camera. 4) Now you need to Export the profile. The default destination folder is already selected for you, so edit the name if you need to and hit Save. 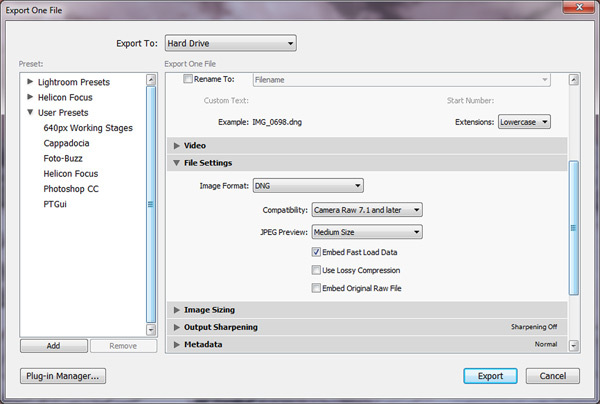 5) Now if Lightroom is already open, which it probably is, then you must close it and reopen it. 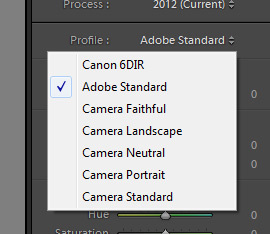 Now select the Develop module and open the Camera Calibration tab. If it's not there, right click on any tab, like Basic for instance and switch it back on. Now click on the Profile drop down and change there will be your new profile with all the other camera profiles. 6) The image will now change colour temperature, but your not quite finished. 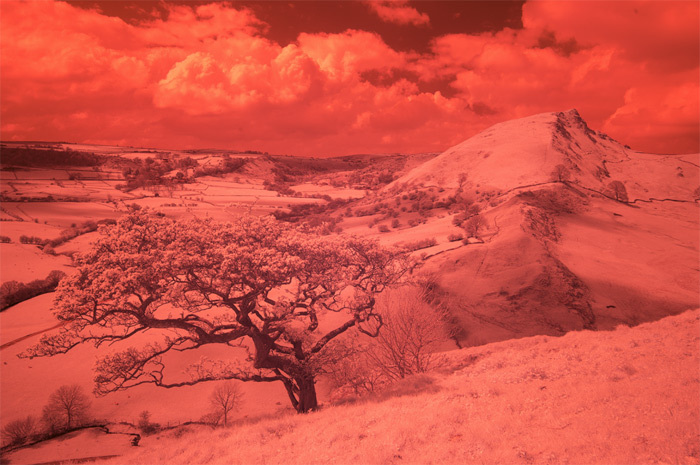 Grab the white balance eye dropper from the Basic slider and click on grass, or a tree which should appear white in your infrared image. BOOM as the kids say... for the first time you have a properly balanced infrared image in Lightroom. Here's what it looks like with an attempt at removing the cast.... still looks weird doesn't it. I clicked on the grass with the white balance eye dropper and it still leaves a purple / magenta cast which is unremovable. Although this may look strange, this is actually the correct starting point for an infrared image.You can see that this is never really going to work as a colour Infrared, but there is great potential as a black and white. The reason is because two thirds of the image is made up with grass, which is essentially the same white balance, so there is no variation in colour temperature that would benefit. Because we have now made this a neutral within our image the only thing that is going to happen from a colour swap is the clouds are going to go blue. Colour Infrared works much better when there is an array of different temperatures present within the image, something sadly lacking in this picture. None the less, its a strong image with a strong composition and it will work very well as a monochrome.